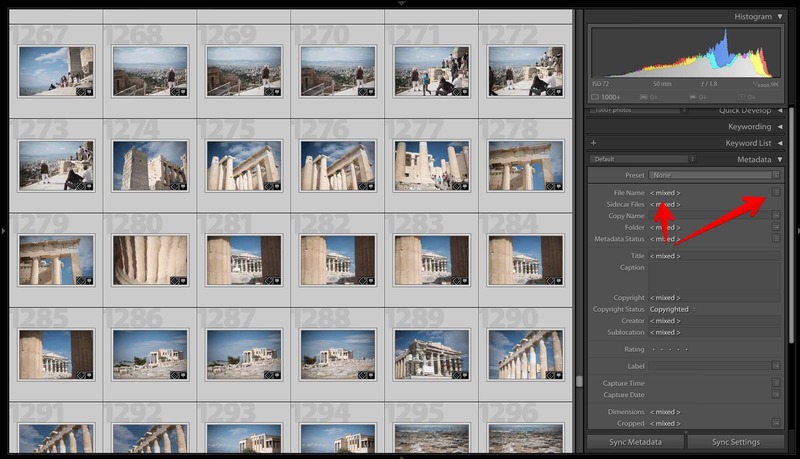 There are a few different ways to add visual guides over photos in Lightroom. There's the standard grid view. The built-in crop overlays and are very useful guides if you're looking to tweak the layout, aspect ratio, and cropping of a photo. And you can set a custom loupe overlay that is a simple but effective way to position main elements. But what if you want to use a custom guide or something more complicated? There's another feature in Lightroom you can use for that. It allows for custom graphic overlays. These might be as simple as a few lines or as complicated as a magazine cover layout. It's called the Layout Image Loupe Overlay. 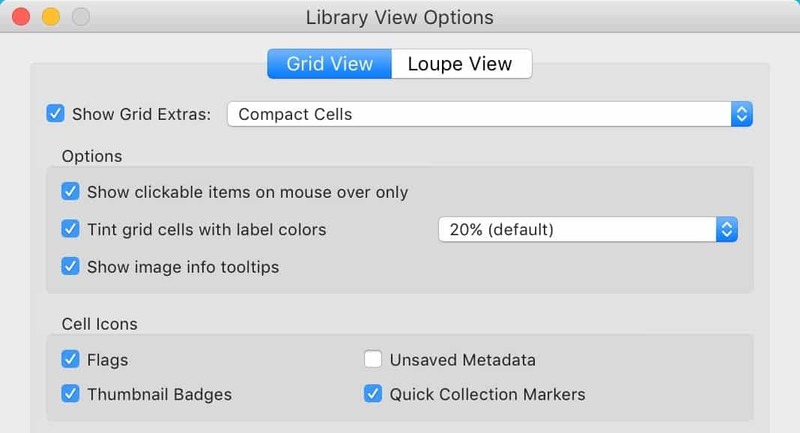 As its name suggests, it's available in the Loupe view (single-image view) in both the Library and Develop modules. It's worth noting up front that these are simply visual guides while you're working in Lightroom. They're not applied to the images like stamps or layers. They're not the same kind of thing as adding an identity plate to prints, for example, where the graphic is essentially stamped permanent on the image. These are entirely virtual. There are many ways these might prove useful--essentially whenever you need the photo to conform to a specific layout. Maybe you're shooting product shots tethered and need the products to align. Or you're shooting passport photos that need to meet the stringent requirements of consular officials. Or you're trying to choose an image for a magazine cover. And so on. So here's a quick guide to how it works. File Type. The template files should be PNG image files with transparency. Technically you don't need transparency, because you can control the overlay's transparency. You could, for example, use it to align before and after shots. But in most cases you'll want a graphic outline of some kind with large areas of transparency. Either 8-bit or 24-bit PNGs work, but since filesize isn't an issue, there's no reason not to use the better 24-bit versions here if you're creating a new file. Sourcing the Layout Images. You can't actually create the PNG files in Lightroom. For that, you'll need to either download one from somewhere or create your own with something like Photoshop or Illustrator. Save to Location. You can save them anywhere on your hard drive. When you load one, you'll get the chance to locate the file. If you plan to reuse them, it makes sense to create a new folder next to your Lightroom plugins folder and store them in there. To access the Layout Image Loupe Overlay, it's under View > Loupe Overlay. There you can choose a new one or a previously used one. But the outline can be of any shape you like, and you can customize to any shape. It might be the outside of a house for real estate photos or a pair of shoes for product shots. You can also use more complicated layouts for some basic comping. 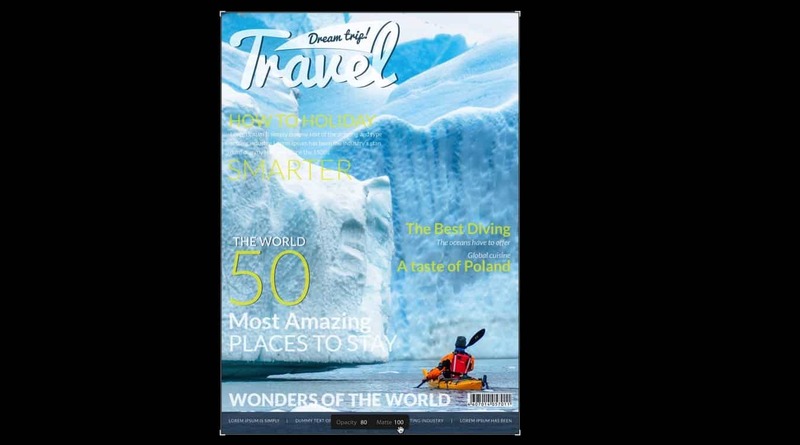 If you've every worked with magazine editors, you'll know that they often approach covers with some pre-conceived design requirements for the cover. There's the magazine title, of course, but the marketing and editorial departments have probably already determined what headlines and teasers they want to include on the cover. So the image they choose and use for the cover will have to work with those requirements. 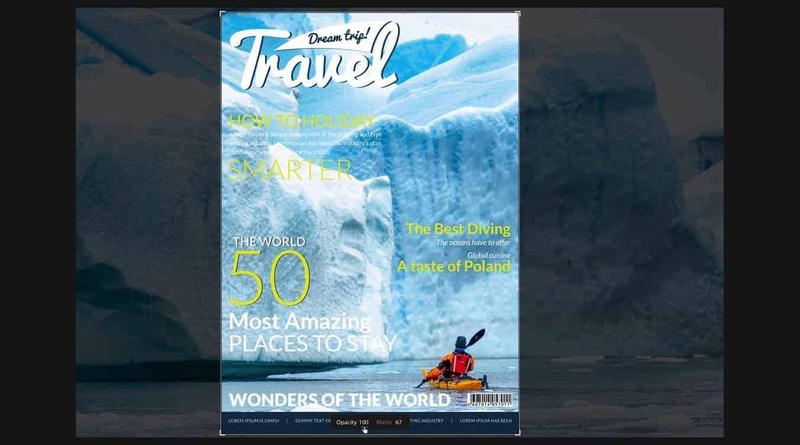 Here's an example with a dummy magazine cover. It also illustrates another point--that your image overlay doesn't have to be the same aspect ratio as the images underneath it. If you hold down the CMD key in Mac or CTRL key in Windows, you'll get some options appearing at the bottom of the overlay image. The first controls the opacity of the overlay image. With the CMD / CTRL key held down, move your mouse over the number next to "Opacity." You'll notice that the cursor changes to a left-right icon. Click the mouse and drag left or right to move the numbers up or down. This, for example, is with the opacity set to 100. The overlay will stay in place, so you can scroll through the images in the regular way to find one that's a better fit for what you need. You can use the layout image overlays in both the Library and Develop modules, but they're set independently. So if you apply it in the Library module, it's not automatically visible in the Develop module as well. In the Develop module, the overlay stays visible for many functions, including the brush tools (handy of you're applying vignetting, for example). But unfortunately, the overlay disappears when you use the crop tool, which might be the tool that would make most sense for it to stay visible. 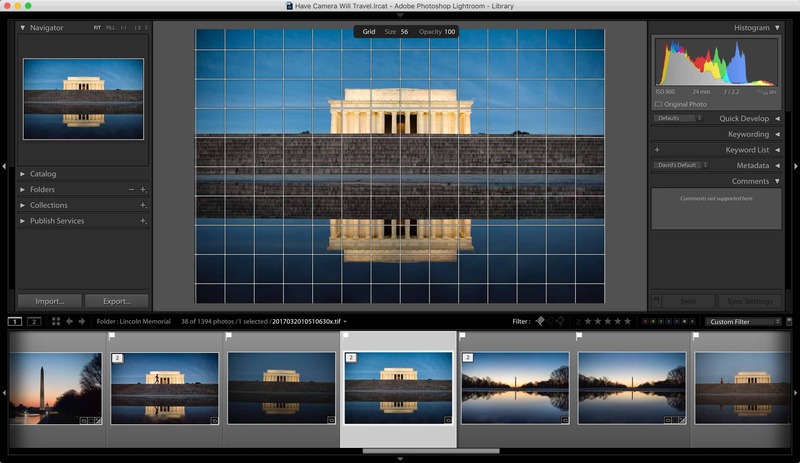 Lightroom maintains a recently-used history for this tool, making it easy to reuse templates. The Layout Image Loupe Overlay tool is very handy way to do some basic comping. It's not designed as a full-fledged design or layout tool, but it can be very handy for choosing an image that works with a particular layout, or making an image align with a specific requirement. In the current version (7.3) the Loupe overlay image is quite useless... When using the crop tool it disappears, however this would be the main reason - to see how to crop an image. Otherwise I find myself constantly activating the crop tool and adjusting the crop. I agree it would be better if it stayed visible when the crop tool is active.